Liverpool midfielder Fabinho learned from his Ligue 1 triumph with Monaco that enjoying your football is absolutely vital when succeeding in a title race. Fabinho was a part of the Monaco team which attracted wide acclaim when winning Ligue 1 and reaching the Champions League semi-finals in the 2016-17 campaign. Leonardo Jardim's side was lauded for its high-intensity attacking football, as well as being full of young talent, with Bernardo Silva, Tiemoue Bakayoko, Benjamin Mendy, Kylian Mbappe, Thomas Lemar and Fabinho himself all going on to secure big-money moves. That season, Monaco scored a remarkable 107 goals – 24 more than second-placed Paris Saint-Germain – in Ligue 1, giving every suggestion they enjoyed the style of football they were playing. 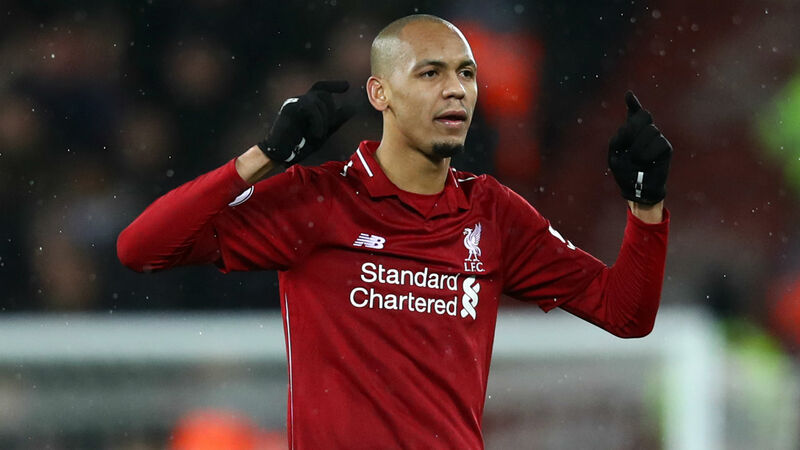 And Fabinho believes Liverpool need a similar attitude if they are to pip Manchester City in the Premier League title race this term. "I know it is really hard to win a league, especially the Premier League, but we have experienced players here at Liverpool," the Brazilian told Liverpool's official website while away at a training camp in Marbella. "We know we are [competing] at the top of the table and it is important to be there at this point in the league, but we cannot think just about the title every time because that can put extra pressure on us. "I had a good season with Monaco, we scored a lot of goals and we had joy playing football – and we have to do it here as well. Enjoy the games and go on the pitch with happiness and go game by game." Another player who has impressed for Liverpool this season is right-back Trent Alexander-Arnold, who, before suffering a knee injury against Brighton and Hove Albion last month, had nailed down a first-team role. The situation was unfamiliar and difficult for the 20-year-old, but he is confident he will be back in the starting XI soon, having appeared as a substitute in the 3-0 win over Bournemouth on Saturday. "It was something I've never really experienced before in being injured," he said. "It was something new and something to get my head around, so it was tough to me. "But it's thanks to the manager, the physios and the medical department in helping me get back so quickly – ahead of schedule. "I feel good; it was good to get a bit of fitness in there at the weekend and that'll help me get back to full fitness and to push on and hopefully start a few games in the next few weeks."